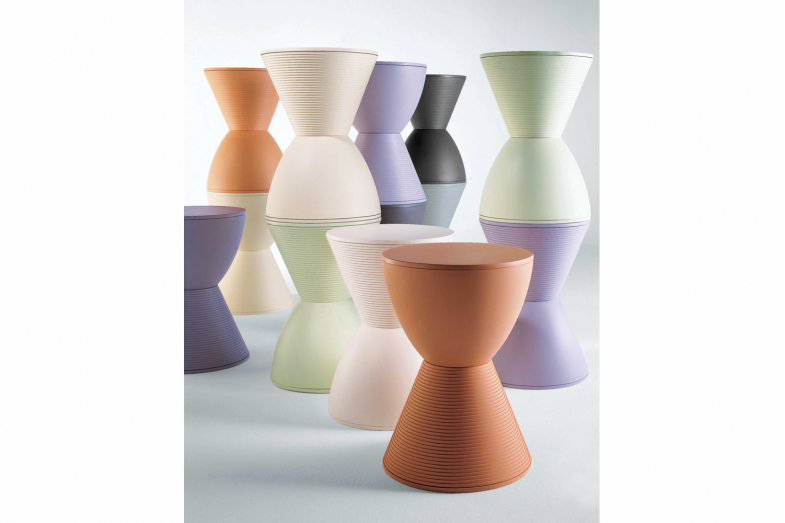 Thought up as a colourful game of building blocks, the Prince AHA stool is composed of two cones to resemble the shape of an hourglass. An entertaining and colourful accessory, Prince AHA can be used as a practical stool or stand to place beside the couch or the bed. The pastel colours, the texture of the material used and the geometric design make Prince AHA a flexible product, easily inserted into any setting. It is available in a range of pastel colours.